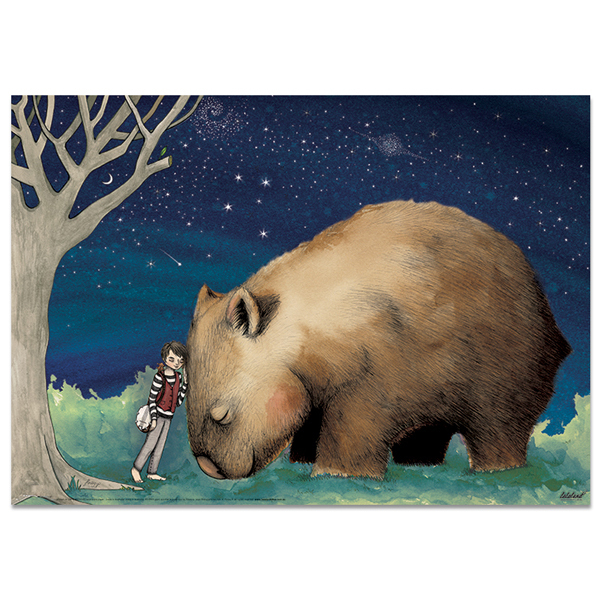 I have had quite a few people write stories to go with my Giant Wombat, but I can honestly say yours is hands down my favourite. You have perfectly captured the soul of who it was I thought I was creating when I made that artwork, for both characters. Thanks so much for the reply. I hoped the story would reach you and that I had done your beautiful artwork justice! You created such a strong connection between the two characters, I loved imagining and writing their story.